Despite the popular Silicon Valley sentiment that urges entrepreneurs to “embrace failure” and “fail fast,” most business leaders would rather not have to. Kelly, a retired U.S. Navy Commander and president of Productive Leaders, and Stark, president of Peter Barron Stark Companies, say their work has made them “aware of how many well-intentioned, really good professionals get promoted into leadership roles, and then fail.” They define a successful leader as one whose strong relationships with their followers “propel the organization toward great achievement.” And, they say, it’s hard work. They lack a compelling vision and clear goals. They don’t understand we are one team. They want to be Miss Congeniality. If you recognize yourself in that list, fear not. The authors tell you how to turn things around. In fact, even if you’re doing a pretty great job at leading, the book offers some valuable takeaways that could help you sharpen your leadership style. Among the lessons Kelly and Stark teach readers: steps to building a vision and how to transform it from a “status quo” or “negative vision” to a positive one; ways you could be breeding mistrust inadvertently; whether your so-called open-door policy is effective; and if your honest communications sound more like bullying. 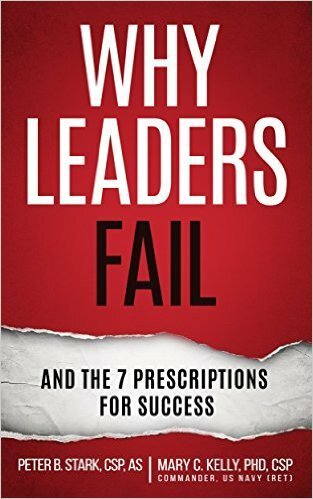 Lest you waste your time, however, check the book’s conclusion first to see if you also fit the authors’ definition of an uncoachable leader. If you think you’re smarter than everyone else, don’t listen, don’t care, have an ego bigger than your brain, or possess a pressing need to be right, you might not be just a lousy leader; you’re also a lost cause.